These quality rubber bowl mallets can be used to strike or rub the edge of your crystal singing bowl to produce the most amazing sounds. They are made from a rubber ball mounted on a wooden handle and are most often used with the larger bowls. 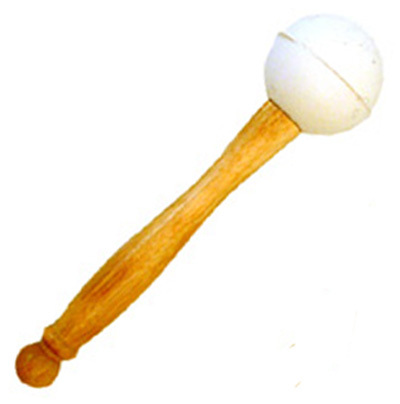 Ball Diameter: 5 cm, Overall Length: 20 cm.